Making these tartlets was a last minute decision, wait, make that an impulse! 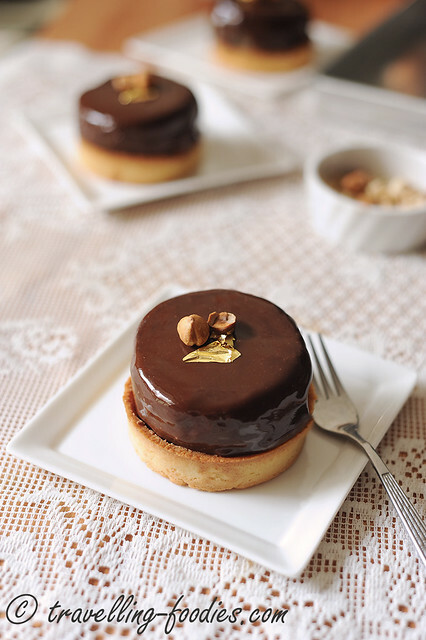 The initial intention was really to make some of Sugino’s fig tartlets since we finally managed to get some good figs in Singapore this season. Last year’s were horrid. 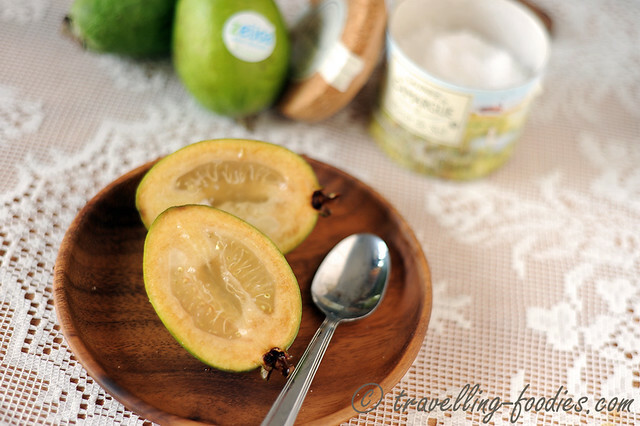 But then came along feijoas, which were on sale at our local supermarkets. I’d seen them last year but they were very expensive, since only one (premium) supermarket carried it, the price was kinda monopolised. That is what happens over here unfortunately yes… But this year, the prices dropped by more than half! No more excuse for not trying them. They were packaged as “zeijoas” since this batch were not from their native South America but New Zealand, where they are widely cultivated and grown by the kiwis in their backyards as a fruit tree. No prizes for how the name “zeijoa” came about but I’m hoping that our folks over here would not take this name too seriously as the actual one! More curiously, these “zeijoas” were marketed as “Causasian guavas”. I wonder how many actually knew that the common guava we’d been eating originated from Central and South America as well. Despite the slight similarities in taste , I wonder why would anyone do that. Oh well, I guess the logic is functional, mapping the known against the unknown, the familiar against the unfamiliar. But sounds kinda silly if you ask me, likening one to brand fettuccine as the “Italian mee kia” and yes in case you are wondering, it is being done by one of the popular brands for electrical goods, on their latest noodle making machine! Anyway, we’d digressed. My first tasting of the feijoa I bought and I was blown away. The fruit had just beautifully ripened, with the core of the insides really gelatinous and sweet. The fruit was also highly perfumed, a bouquet of aromas which reminded me of bubble gum candy and a “grape-flavoured” soft drink called “Qoo”. It can be easily eaten by slicing lengthwise into two and scoop out the flesh as how one would eat a kiwi, with just a dessert spoon As we work towards the skin, the texture changes and becomes more… yes, you’d guessed it, guava-like, slightly fibrous and grainy in texture while the taste also developed from being sweet to sour. It is more juicy than the average guava. The progression of flavours was really interesting and I thought won’t it be great if I could put this into pastry?! And indeed I did! So here’s my little impulsive weekend baking venture, Tartelette au Feijoa et Chocolat Noir – Feijoa and Dark Chocolate Tartlets.